"'Harry Potter: The Wand Collection' Will Teach You Everything You Want To Know About A Wizard's Most Important Tool"
"The book provides a detailed look at each of the primary wands featured in the Harry Potter films, along with a thorough exploration of how they were conceived, what they’re made of, and the ideas behind their construction. Almost every major character, from Harry to Ron to Voldemort, is included." 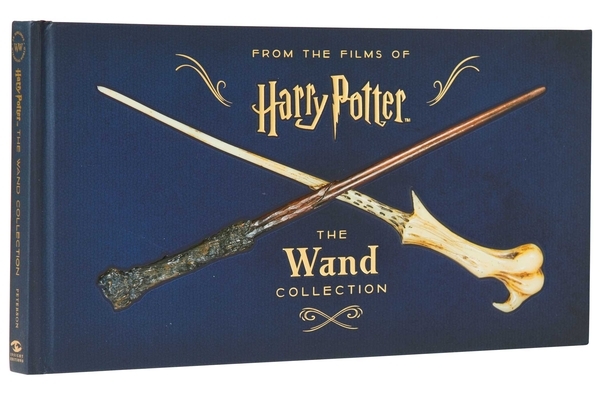 "The collectible volume allows fans to delve into the creation and history behind these beloved props and further immerse themselves in the Wizarding World of Harry Potter"
"The coffee-table collectible shows off the intricacies of the series’ most iconic wands, with detailed profiles of each wand and backstage secrets from the concept artists and prop makers who actually crafted them." "Hooray, There's Now An Official "Harry Potter" Book About Wands"